If you’re needing some inspiration for your main meal then look no further because we’ve got our Top Slimming World Dinner Recipes which’ll keep you on track and satisfied whilst following the Slimming World Extra Easy Plan! Whether you’re looking for something new to try, or an old favourite, we’ve got it all covered. Slimming World suggest that all meals are served with a third of your plate as Speed Food. 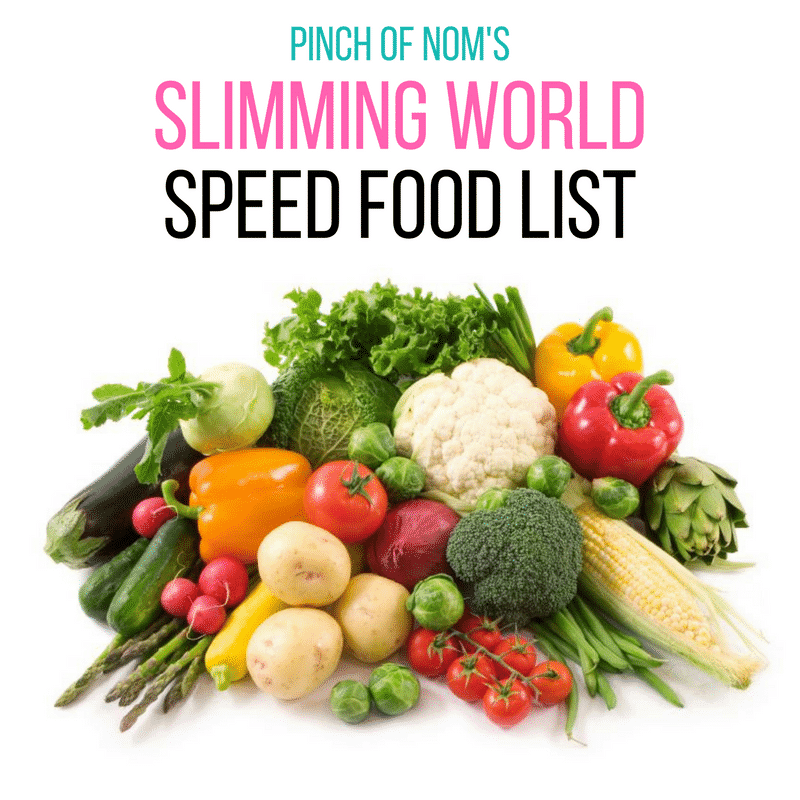 Lots of our recipes contain loads of Speed Foods but if you’re wondering what to serve them with, why not take a browse through our Slimming World Speed Food List! 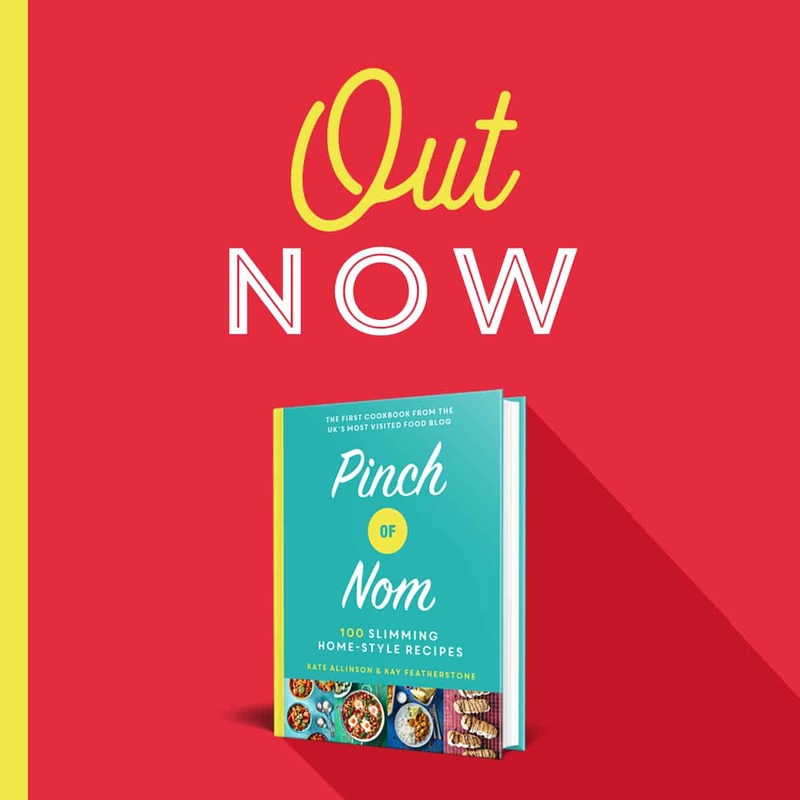 Meal planning can be tricky at the best of times, but we’ve also got some great ready-made meal plans which include some of our Top Slimming World Dinner Recipes! 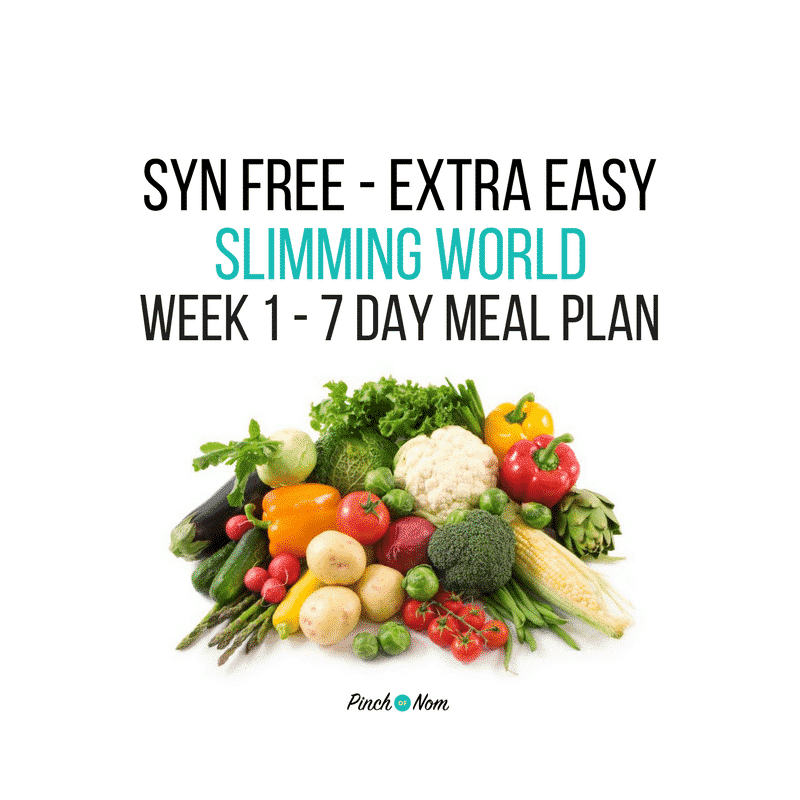 Take a look at our Slimming World Meal Plans for all the details! 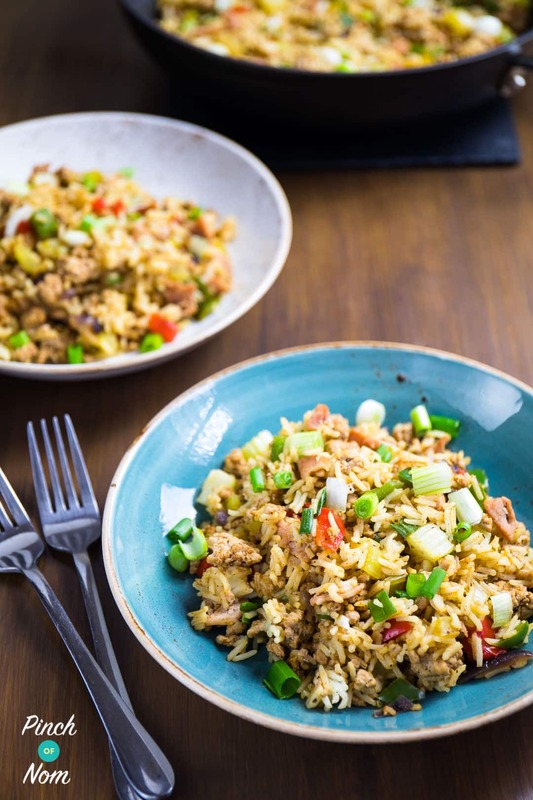 If you haven’t tried our Syn Free Dirty Fried Rice yet, then what are you waiting for?! It’s so easy to make and makes a great dinner for the whole family! 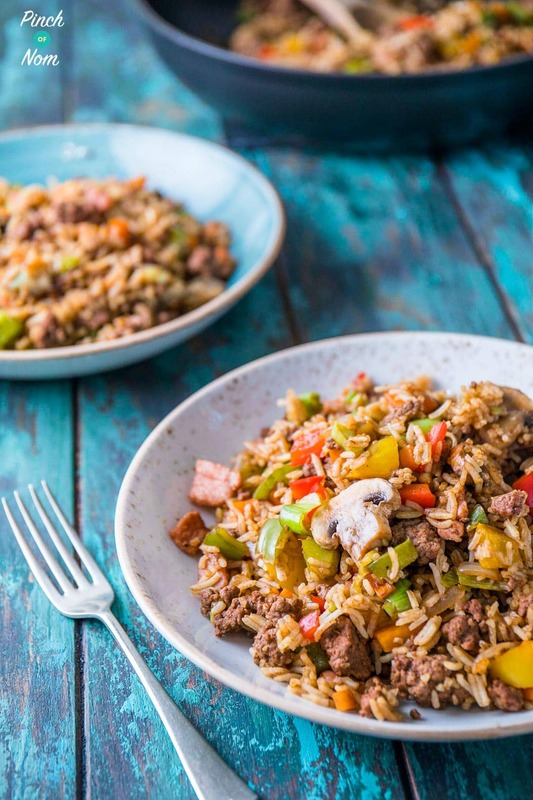 We’ve also got this Syn Free Cajun Dirty Rice which is great if you prefer beef mince and like a bit of a cajun kick! These recipes are easily adaptable too – if you prefer more of a kick then add some extra spices. You can also change the vegetables you use to suit your tastes. 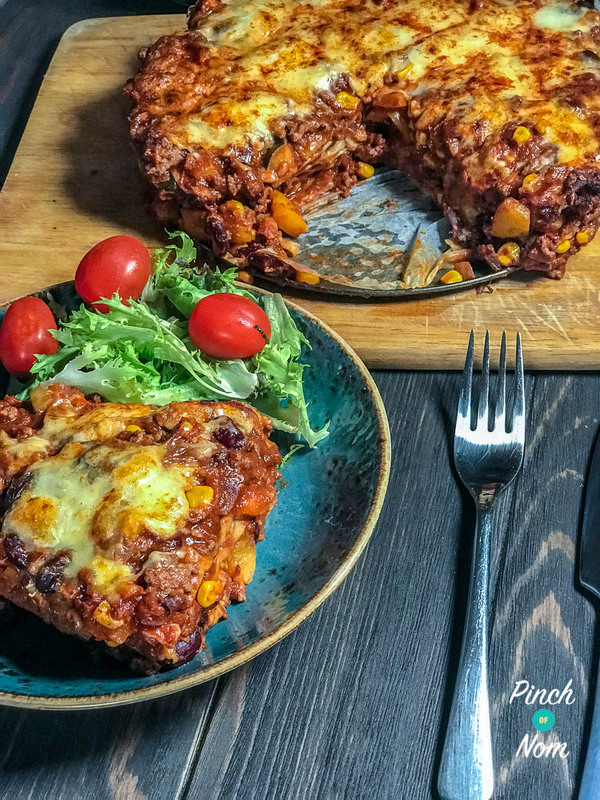 The Syn Free Enchilada Lasagne has been really popular over on our Facebook Group! Spicy chilli beef, soft tortilla wraps and gooey cheese – perfect served with a salad. It also makes a tasty and substantial lunch – just reheat thoroughly in the microwave. If you’re looking for other lunch ideas take a look at our Slimming World Lunch Ideas article! 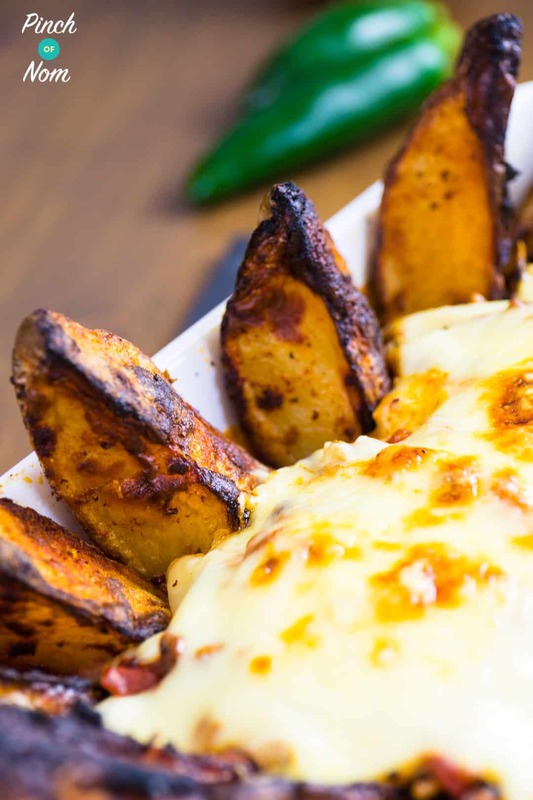 If Mexican food is your thing, why not try these Syn Free Chilli Cheesy Nachos? 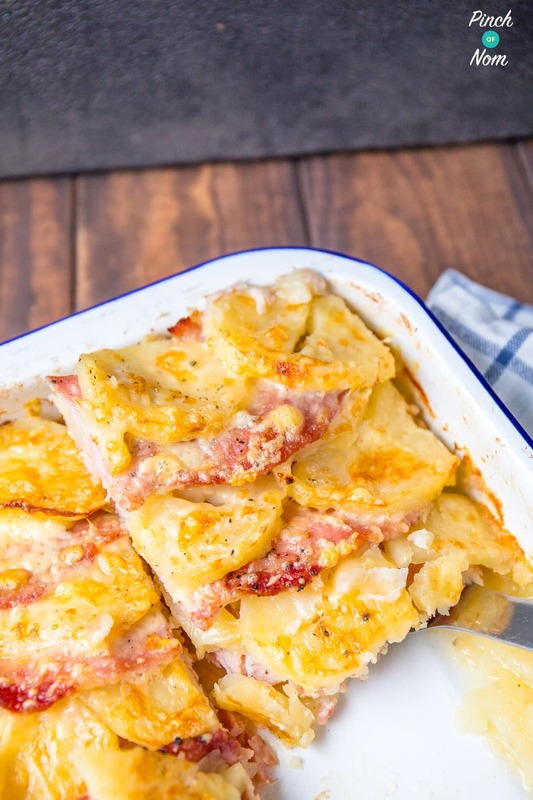 Our Syn Free Bacon, Onion and Potato Bake is another really popular recipe, and is so simple but very comforting and definitely worthy of a position in our Top Slimming World Dinner Recipes round-up! This would work so well with any veg. 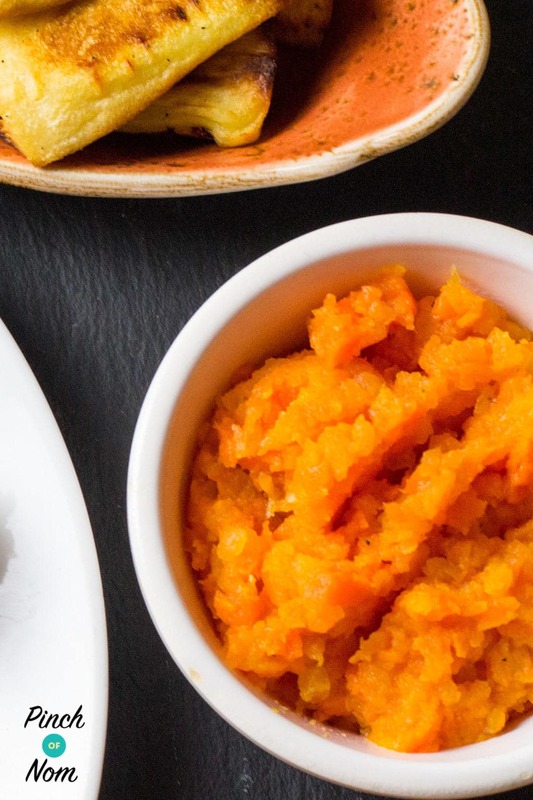 We love this Syn Free Buttery Carrot and Swede! 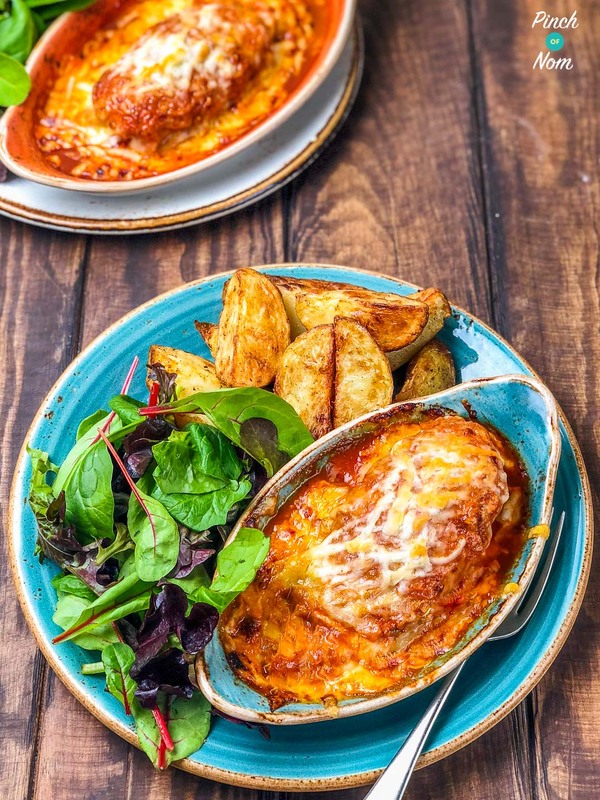 The Syn Free Lasagne is a Slimming World friendly version of this Italian classic – all the same flavours but less Syns and calories! 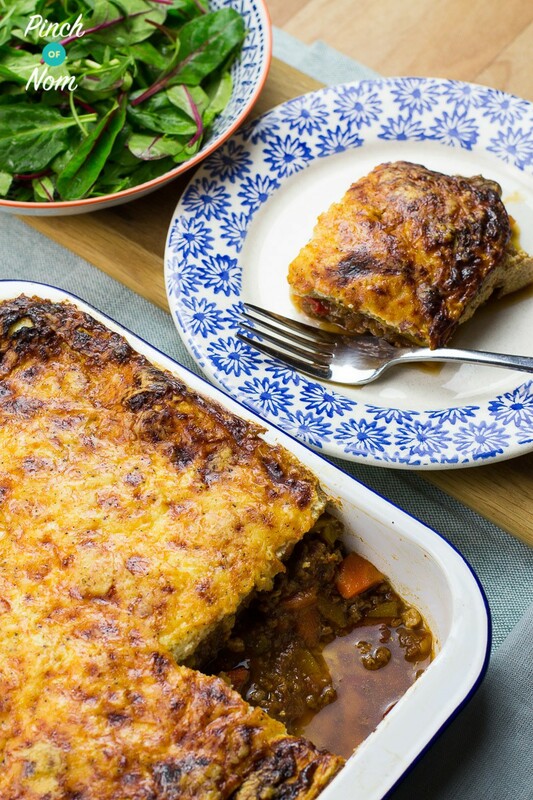 Our Top Slimming World Dinner Recipes wouldn’t be the same without it! We’ve even got a pasta-free version suitable for those who are looking for a gluten free option. 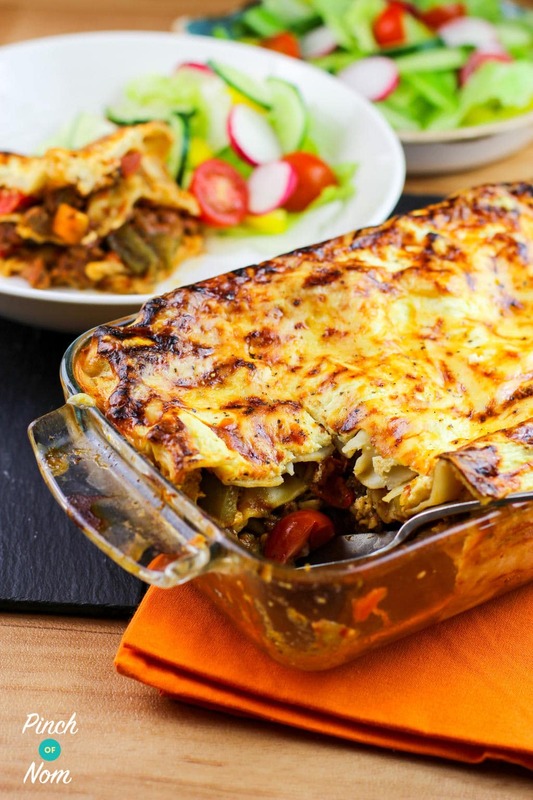 Our Syn Free Butternut Squash Lasagne uses butternut squash “sheets” instead of pasta! 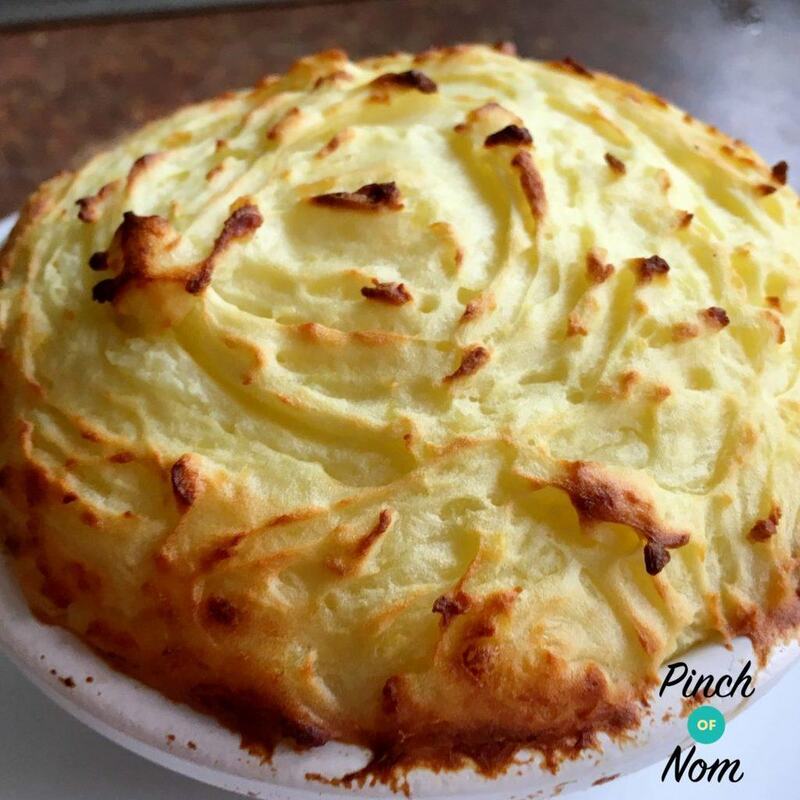 This Syn Free Shepherd’s Pie is a great way to use up left over roast lamb, or a thrifty way to make a joint go further – and it’s absolutely delicious! 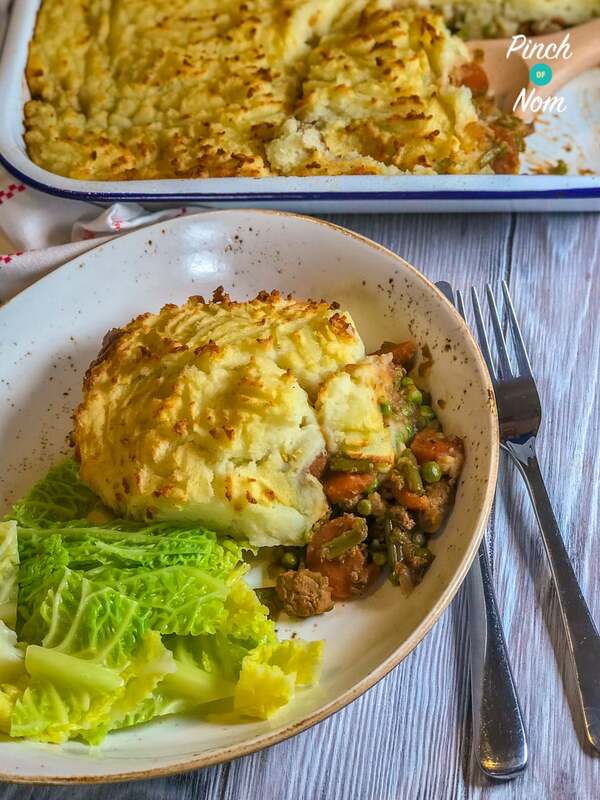 If you prefer to use minced beef, then our Syn Free Cottage Pie will be right up your street! Perfect for the whole family. You can pack either of these dishes full of Speed Food, which not only helps to get your daily quota, but also helps to keep the cost of the meals down too by bulking out a small amount of meat. 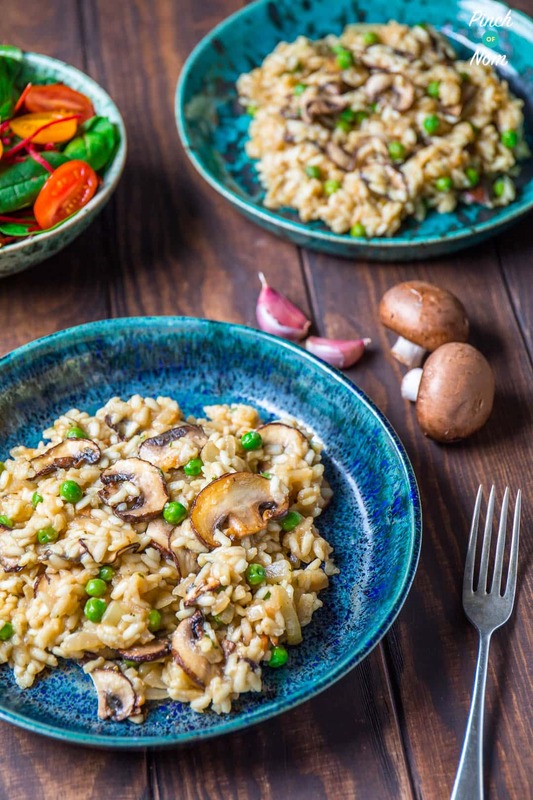 Our Syn Free Garlic Mushroom Risotto is probably the easiest risotto ever as we’ve used the Tefal Actifry to make it – no need to stand and stir it for ages! We’ve also included the stove top method in the recipe. If you fancied a meaty version of this risotto, you could always cook some chicken and add it to the rice – it’s perfect just as it is though! 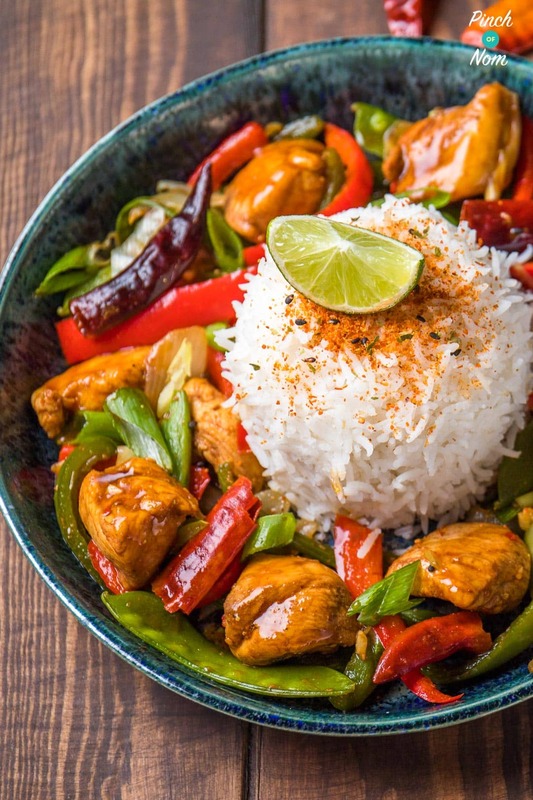 Bring a heap of colour to your dinner table with this Half Syn Firecracker Chicken! This is another recipe for the versatile Tefal Actifry, but you can also make it on the stove. You can make this as spicy or mild as you like. Add extra veg or swap the chicken for Quorn and you’ll have the perfect vegetarian friendly version! If you’re looking for a tasty treat without breaking the Syn bank, try our Syn Free Chicken Kebab recipe! 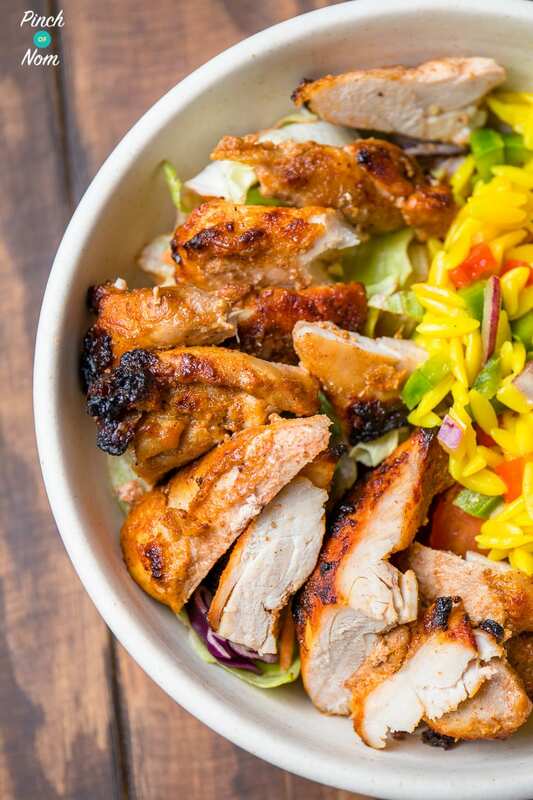 It can be served with salad and a Healthy Extra B pitta bread, or with rice and veg, or even in a sandwich! 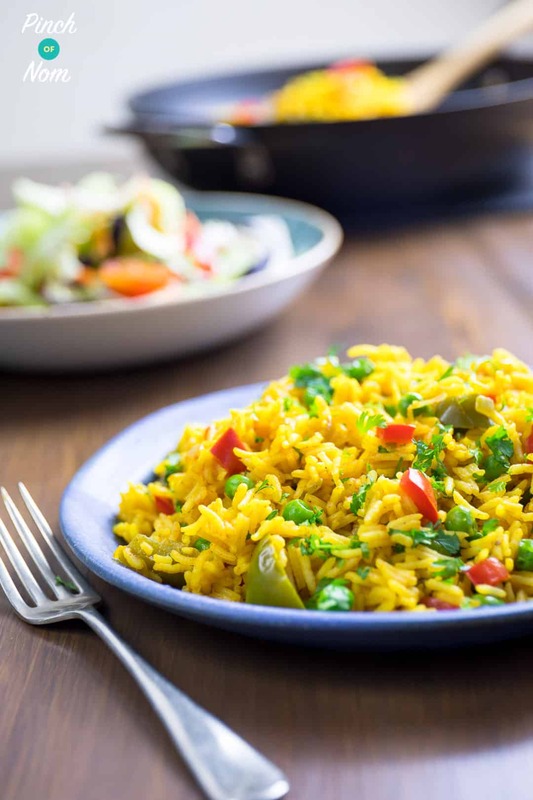 Why not serve them with this Syn Free Nando’s Spicy Rice? 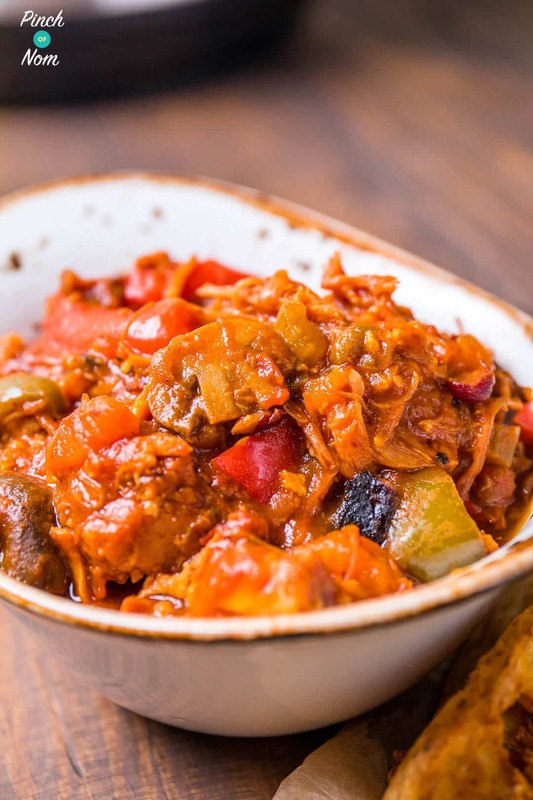 If you’re looking for a family friendly, slow cooker recipe then this Syn Free Campfire Stew is just what you need! 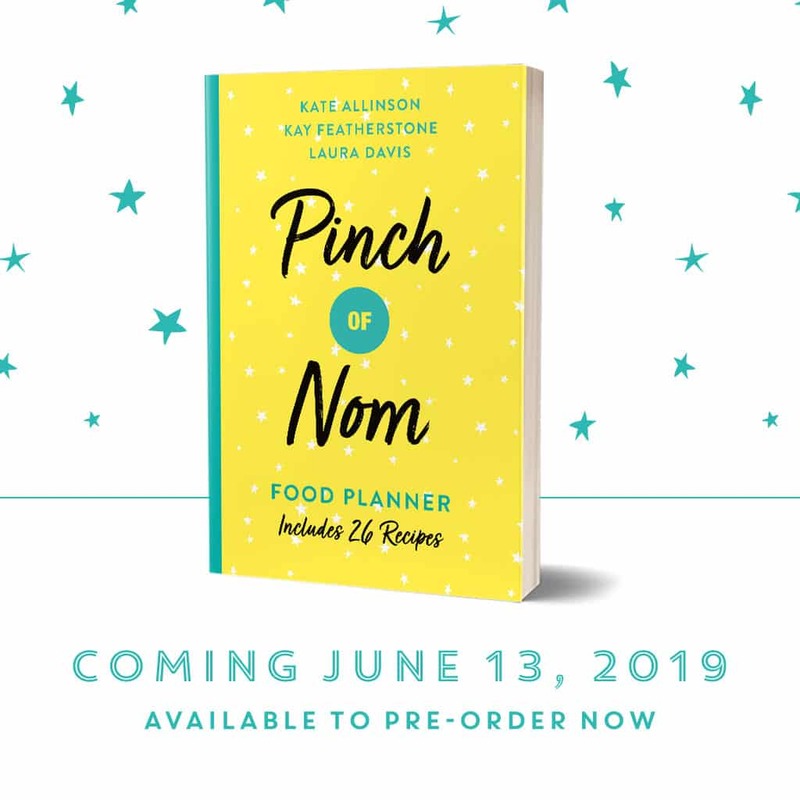 You can pop it on to cook at the beginning of the day and it’ll be ready in time for dinner! It also reheats really well, so if you’ve got any leftovers then just keep in the fridge and heat up for lunch or dinner. 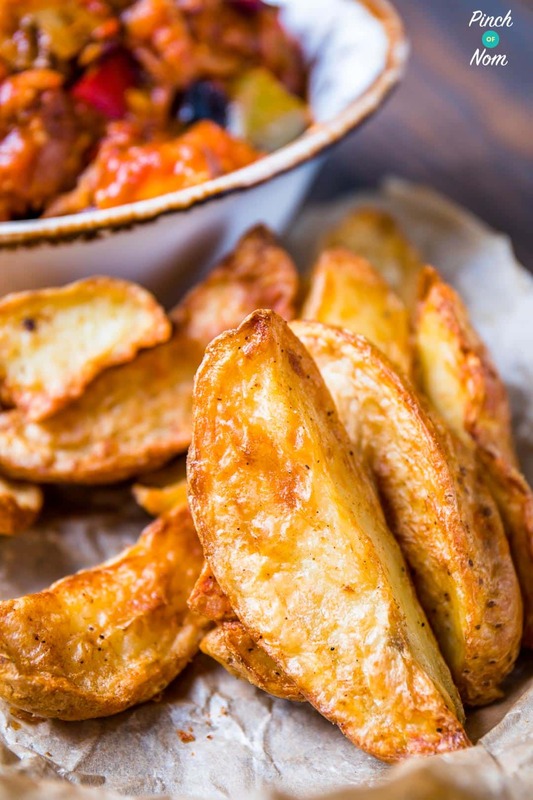 Why not serve it with these Syn Free Rustic Potato Wedges? 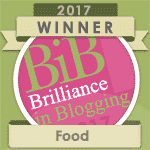 Our Slimming World friendly version of the classic really hits the spot! Barbecue sauce, chicken and cheeeeeeese! Try this Syn Free Hunter’s Chicken this evening! If you’re looking for a Low Syn version of this classic then look no further! 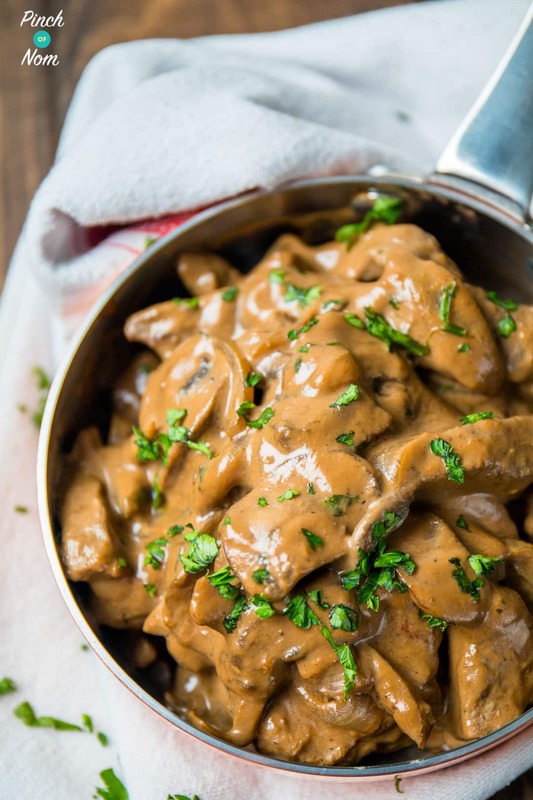 Our Low Syn Beef Stroganoff has been a big hit over on our Facebook Group and tastes easily as good as the full fat version! This dish would make a great dinner party main course – your guests will never believe you can eat meals like this on the Slimming World Extra Easy Plan! 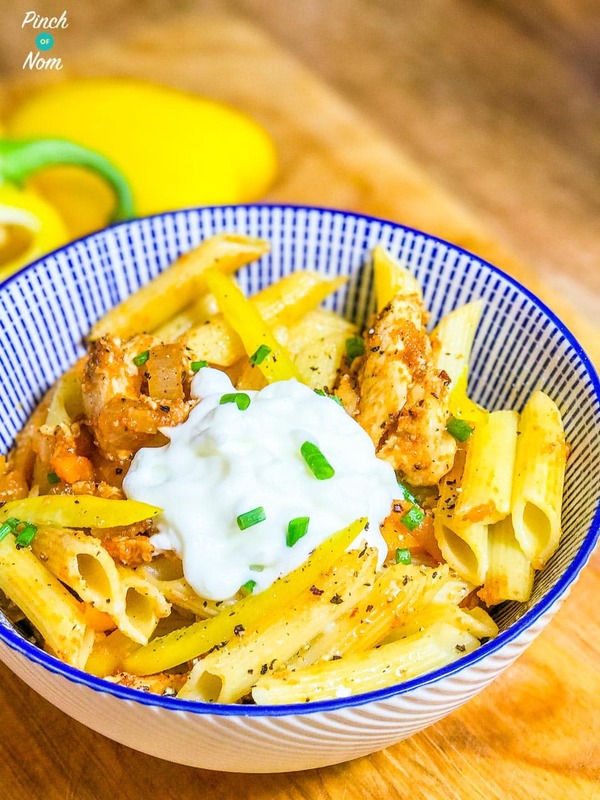 The Syn Free Chicken Fajita Pasta is packed full of all the flavours of fajita’s, without the Syns or Healthy Extra B’s from using traditional wraps. This would also work well for a lunch! If you like to spice things up, then add some fresh chilli for a real kick! 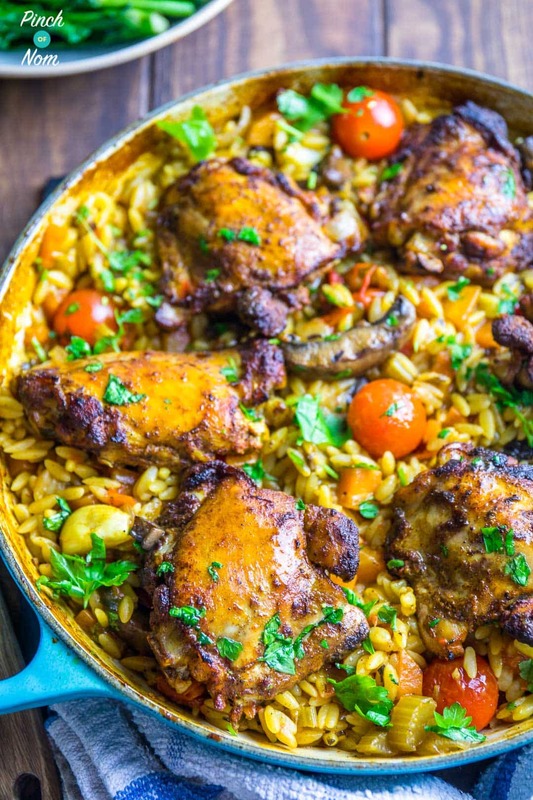 Pop this Syn Free One Pot Mediterranean Chicken Orzo into the oven for a reminder of the Mediterranean sunshine! What’s more, there’s hardly any washing up as it’s a one pot recipe! Orzo may look like rice, but it’s actually a type of pasta! You should be able to find it in any good supermarket. 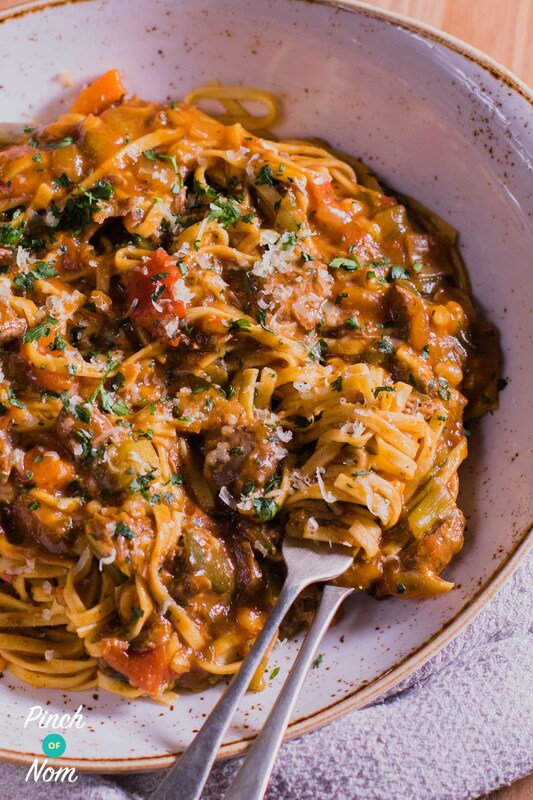 This Syn Free Beef Ragu Fettuccine is like a super meaty and rich bolognese, and a quick meal when cooked in the Instant Pot. You can also make it in the slow cooker – pop it on high for around 4-5 hours. 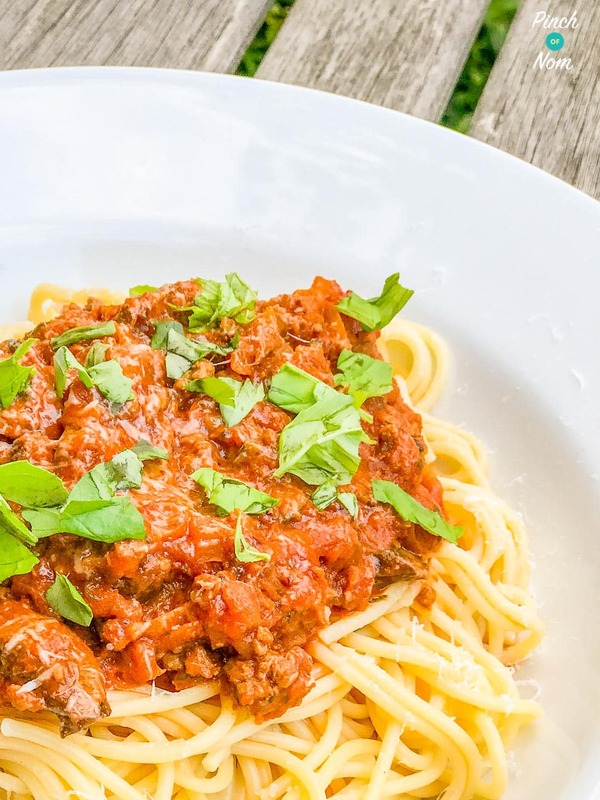 If you’d prefer a traditional bolognese, why not try out Syn Free Spaghetti Bolognese! 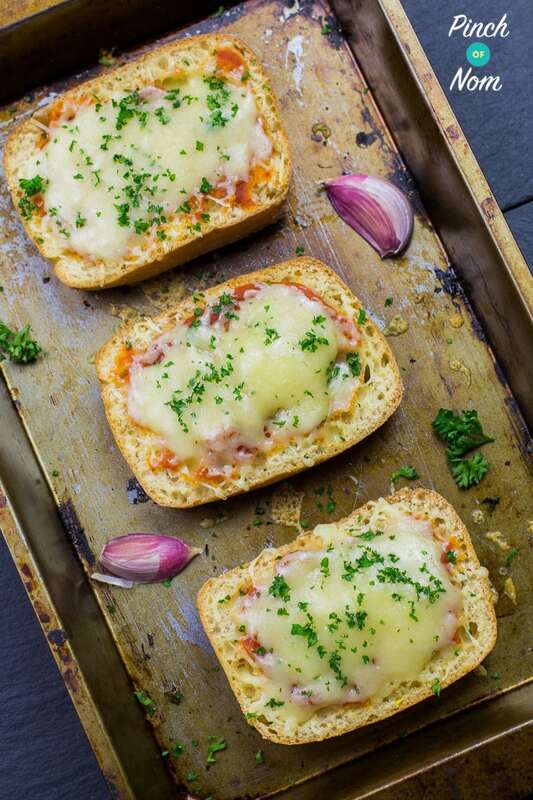 Both of these recipes work really well with our Syn Free Cheesy Garlic Bread – PWOARRRRR! 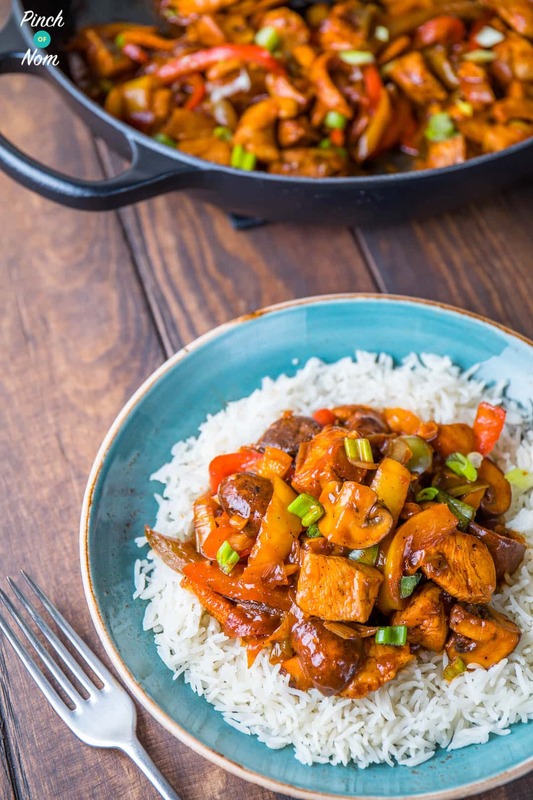 A great family friendly dinner in our Syn Free Diet Coke – Pepsi Max Chicken! It’s a really quick and easy recipe to cook at the end of a long day. You can use whatever veg you like and it’s perfect served with rice. 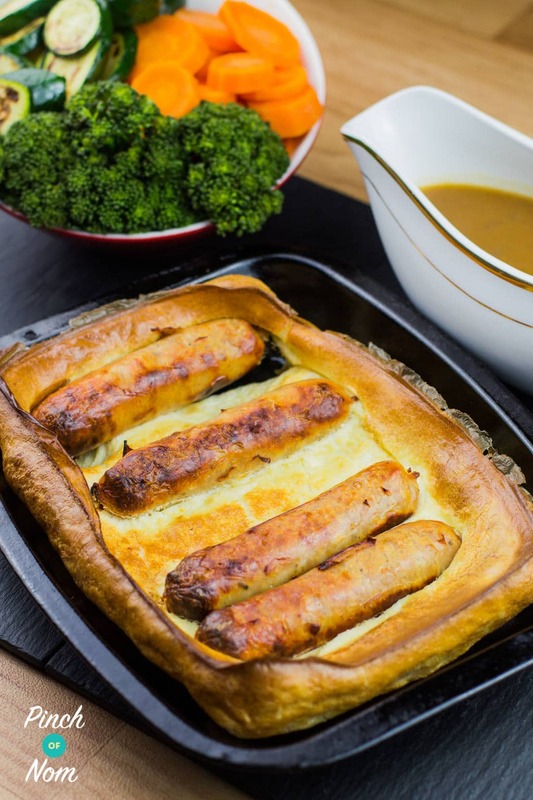 Another Low Syn version of an absolute classic, this Low Syn Toad In The Hole is just amazing! 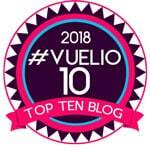 Crispy yorkshire pudding batter with a fluffy centre, it’s comfort on a plate and a great way to round off our Top Slimming World Dinner Recipes round-up! 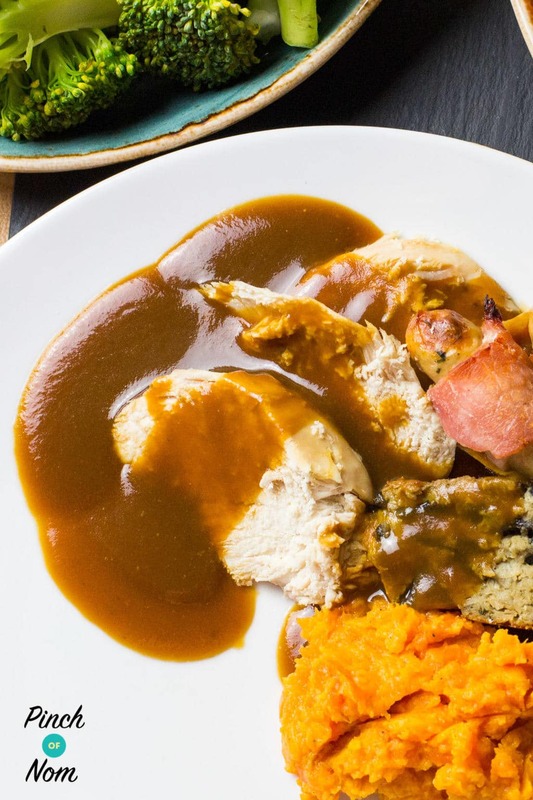 Why not try this with our Syn Free Gravy? 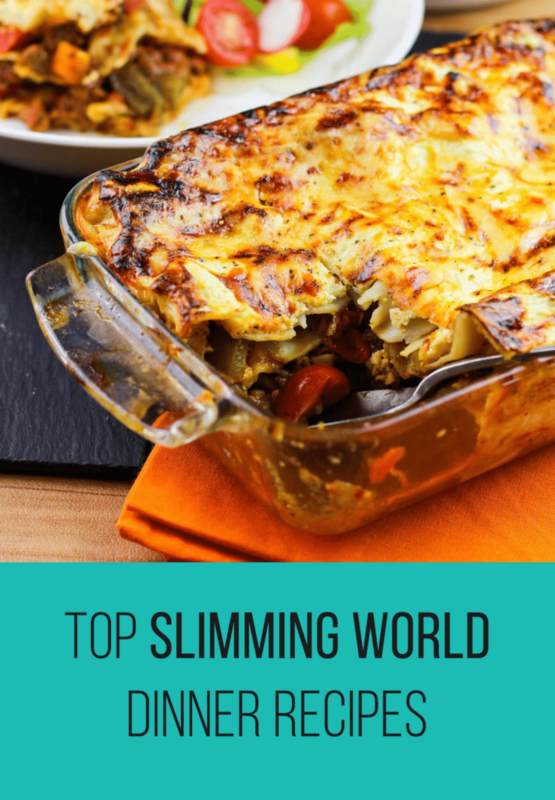 Looking for more Top Slimming World Dinner Recipes? Take a look at these ideas!